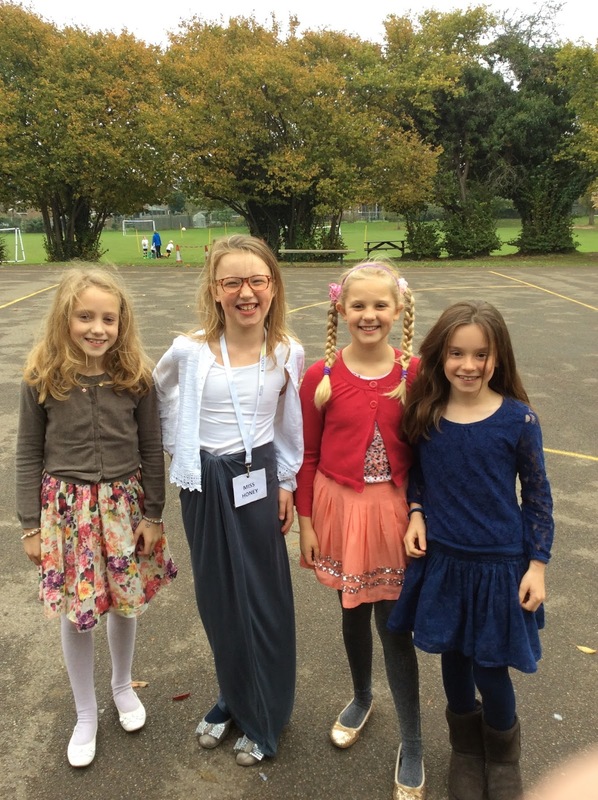 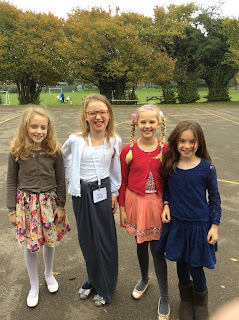 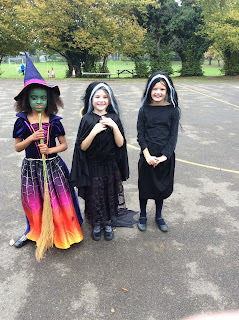 What a fabulous array of different outfits. 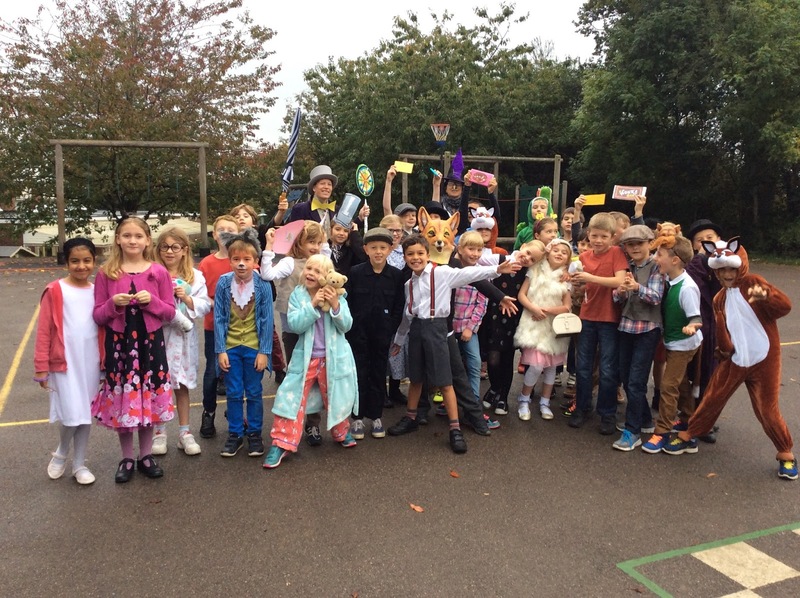 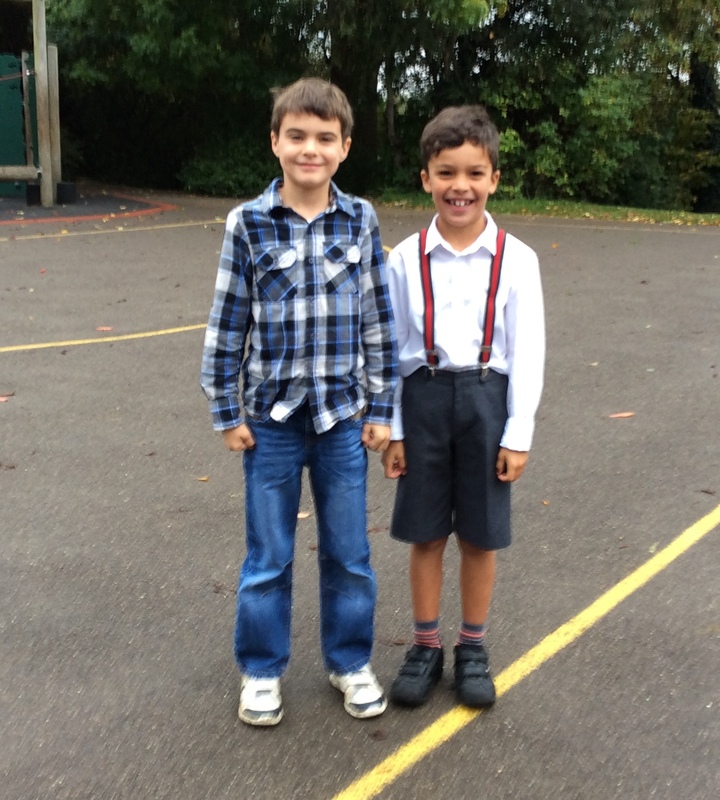 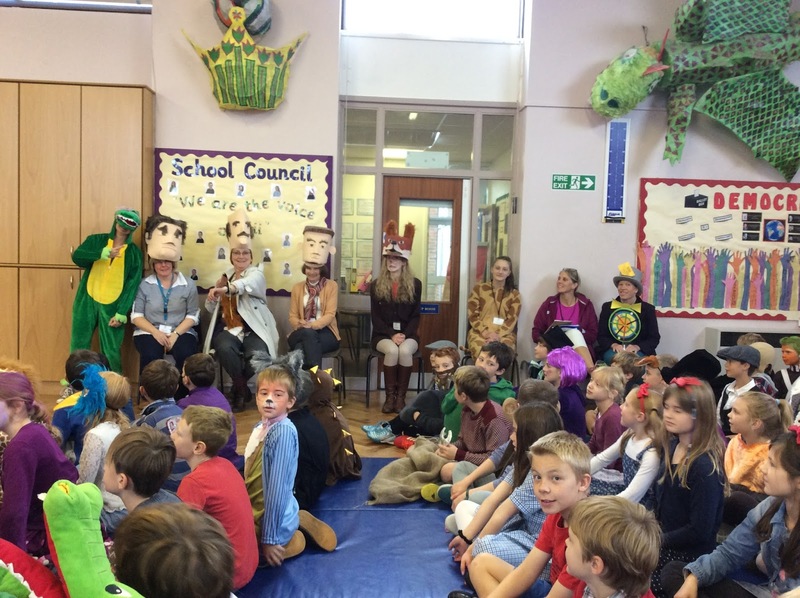 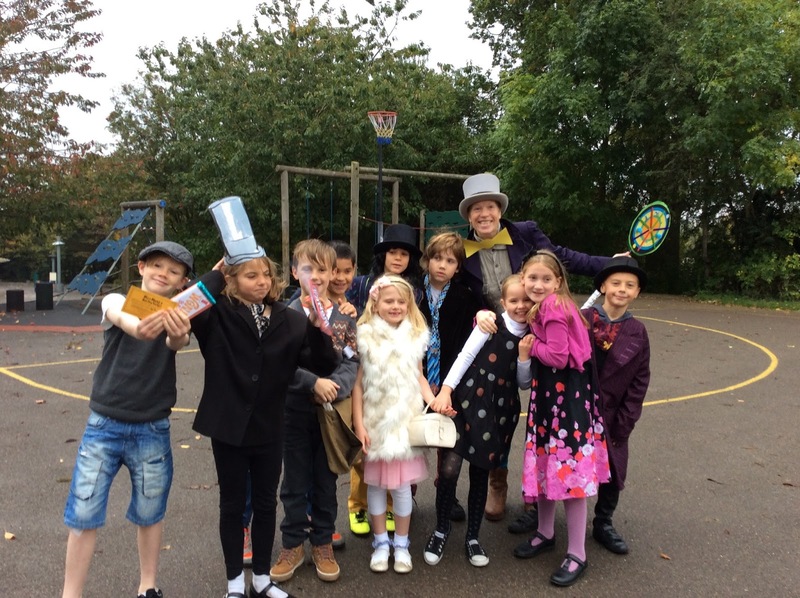 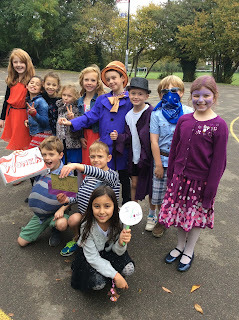 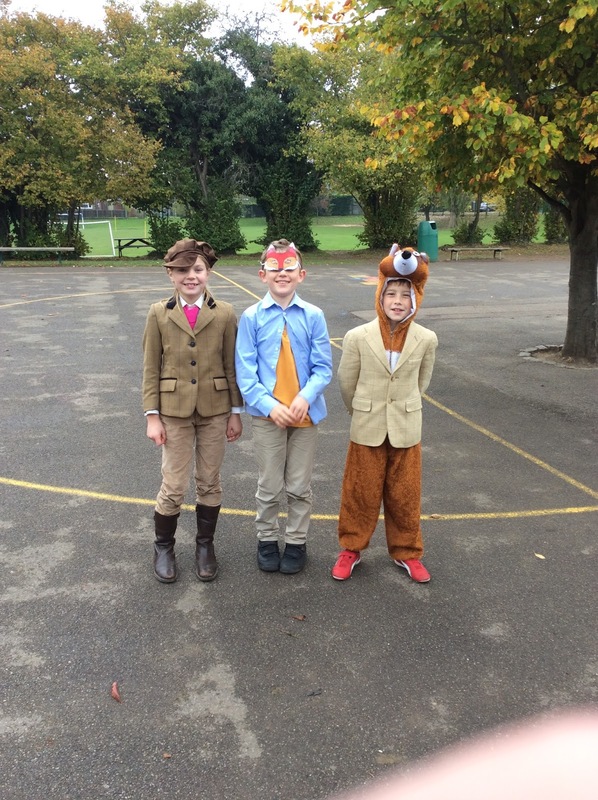 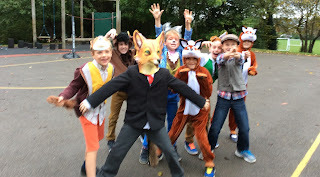 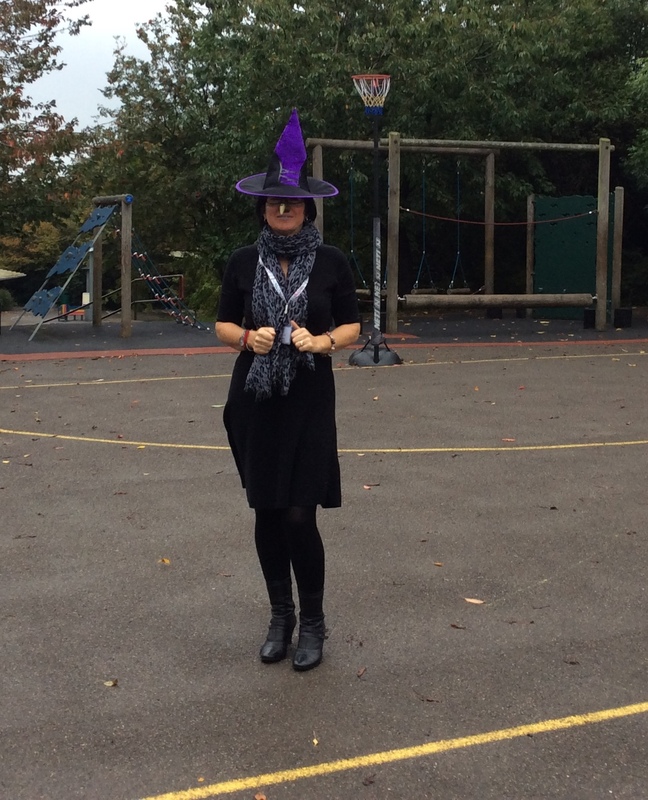 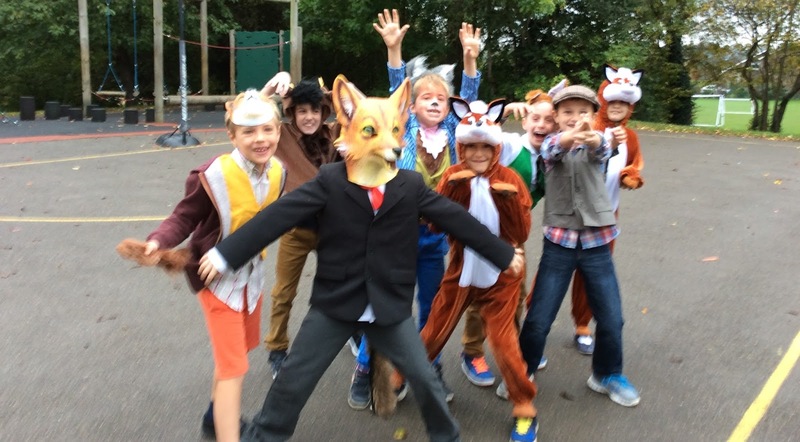 We had a great day and everyone got into Dahl day. 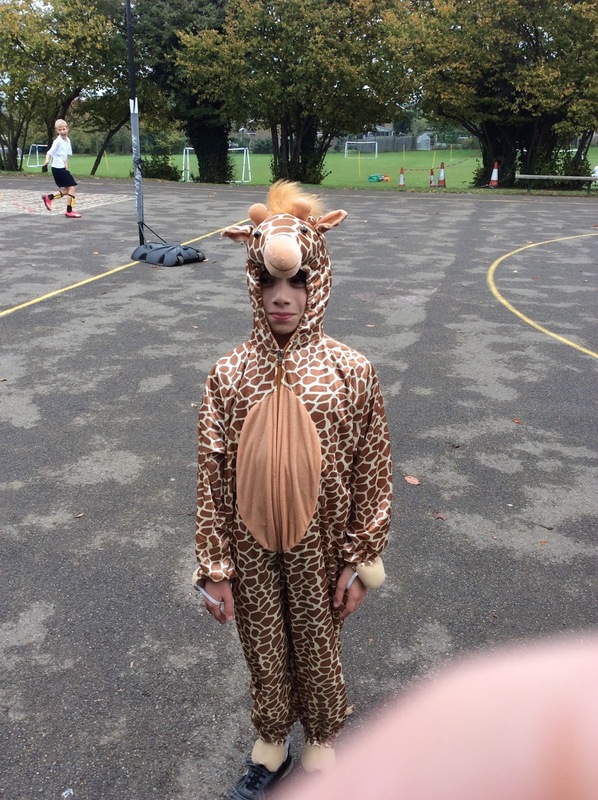 Well done to Sammy for being chosen as best costume. Which book are these two smiling boys from? Even the teachers got dressed up. Can you tell who's who? 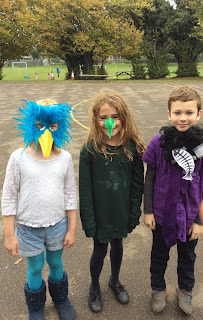 Who's under the blue feathered mask? 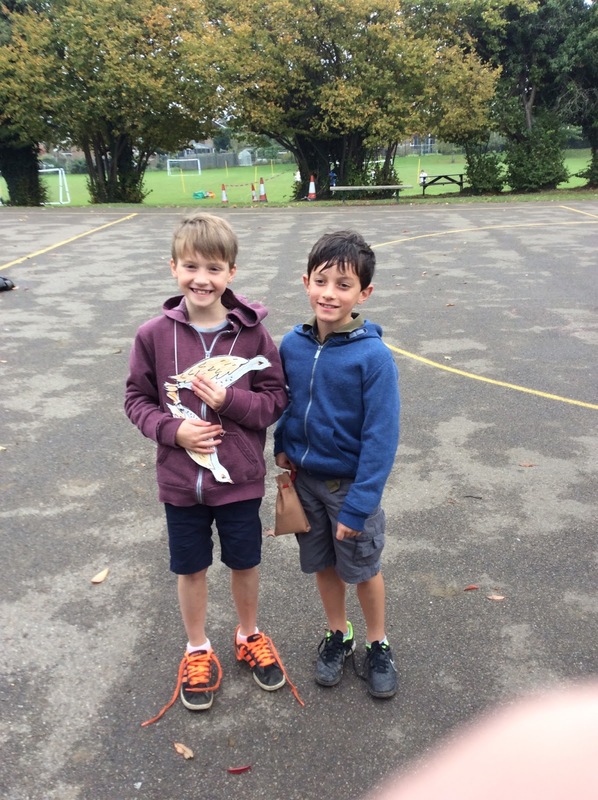 Danny the Champion of the World, rescuing the pheasants! 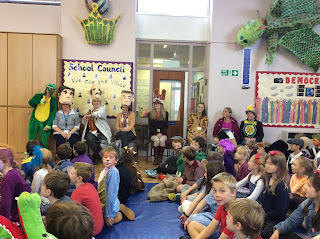 Run, run... Boggis is coming! We love you Miss Honey!